"Mom, can I have a birthday party this year?" My son turned six last month and, never having thrown him an official birthday party with his school friends, I couldn't possibly say no. I blame his melt-your-heart puppy dog eyes. Granted, we have always celebrated his birthday each year with family and close friends but I knew he desperately wanted to invite some of his friends from school and daycare. So off I went to Walmart in search of brightly coloured decorations and party supplies. I found amazing deals on hanging decorations, tablecloths, napkins, paper plates and cups. 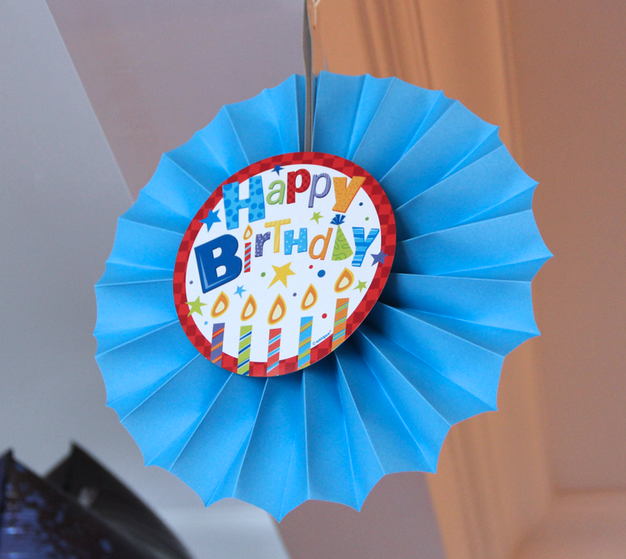 We even ordered some helium-filled balloons from the party store. But with a house full of kids ranging from five to nine years of age, I felt a little apprehensive about how on I earth I could possibly keep them all entertained. 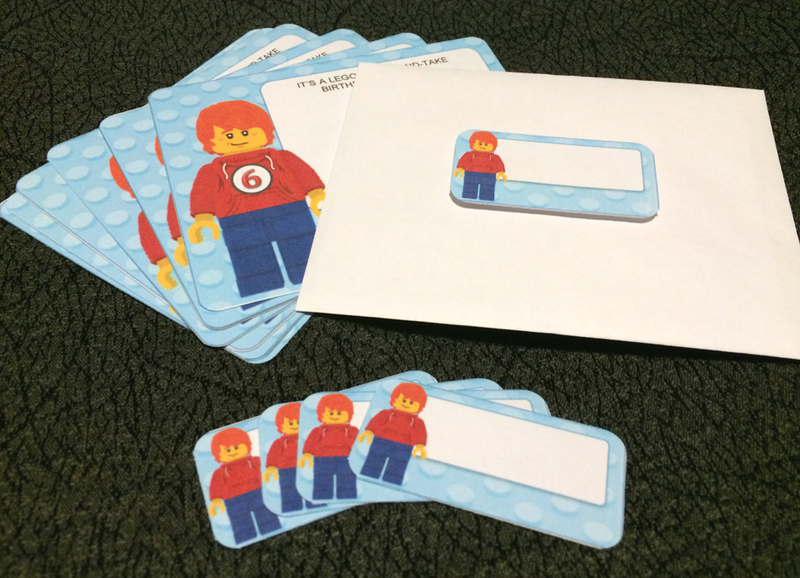 Luck seemed to be on my side when I happened across an email regarding Creative Club Inc. – "a unique concept in ‘edu-tainment’ that combines the fun and creativity of LEGO® building with education to help kids develop skills in important areas like problem-solving, team work, communication and presentation skills and overall confidence-building." 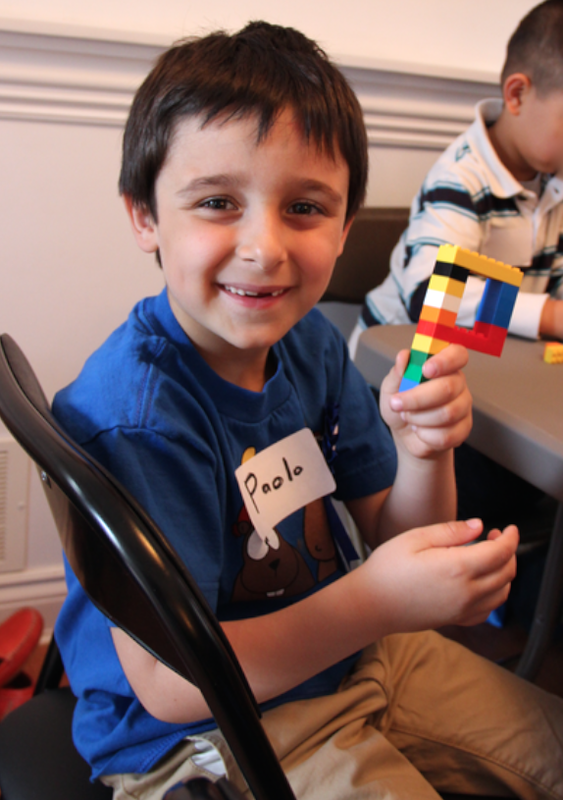 Based in the GTA, Creative Club has been delivering programs to over 100 schools in the area for the past five years. 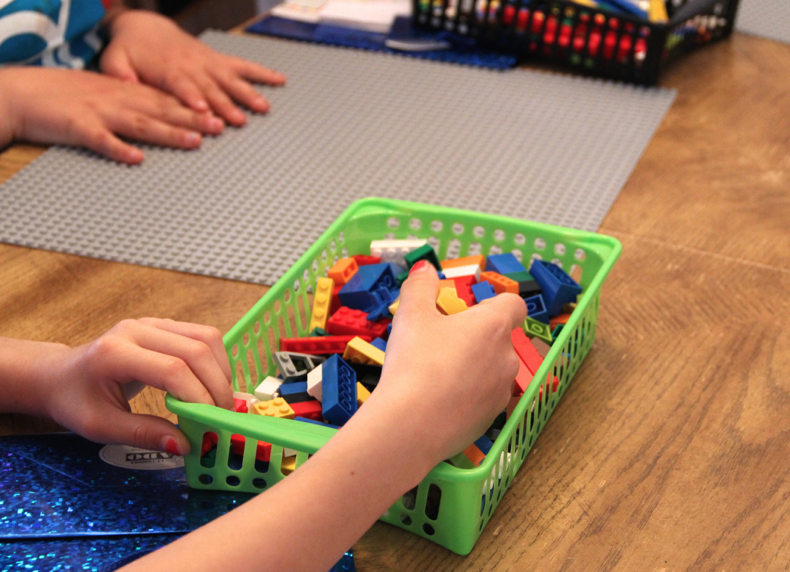 In addition to their in-school programs, they also offer school break and summer camps as well as LEGO® birthday parties. 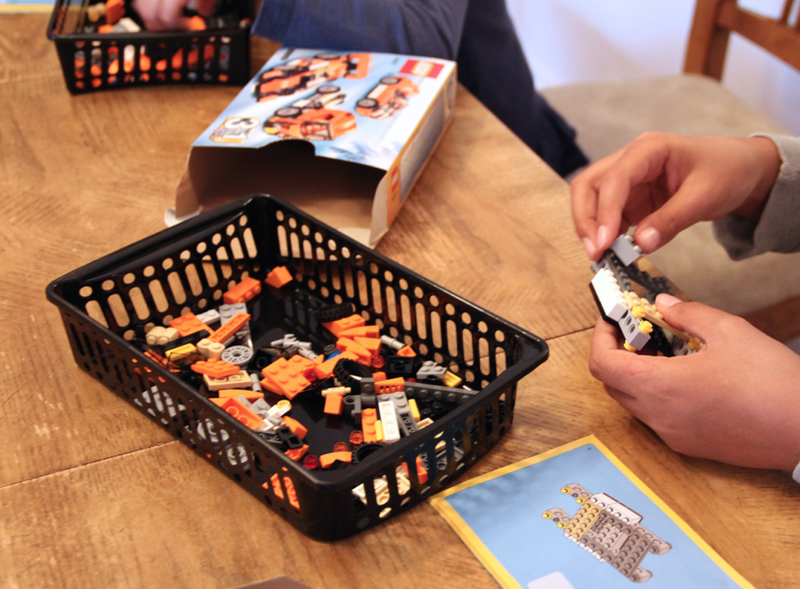 When I browsed their selection of birthday party themes, I knew instantly that my son would love to host a Make-and-Take party where each guest gets to build and keep their very own racecar. 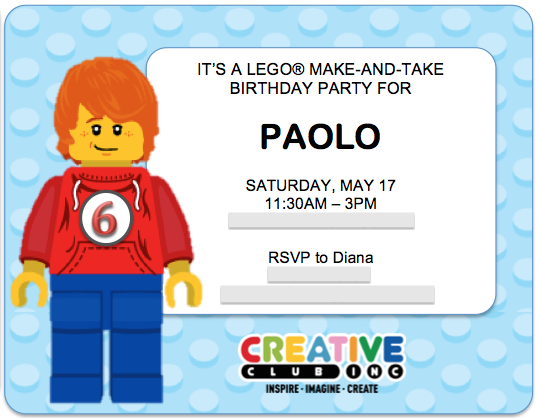 After booking a date and time, I went ahead and custom designed the following Creative Club Inc. invitation. Isn't it cute? I even made some coordinating envelope labels since it was already past my bedtime. Once the big day arrived, my son was bursting with excitement. With every knock at the door, he would run to greet his friends. They played, they laughed, they played some more. 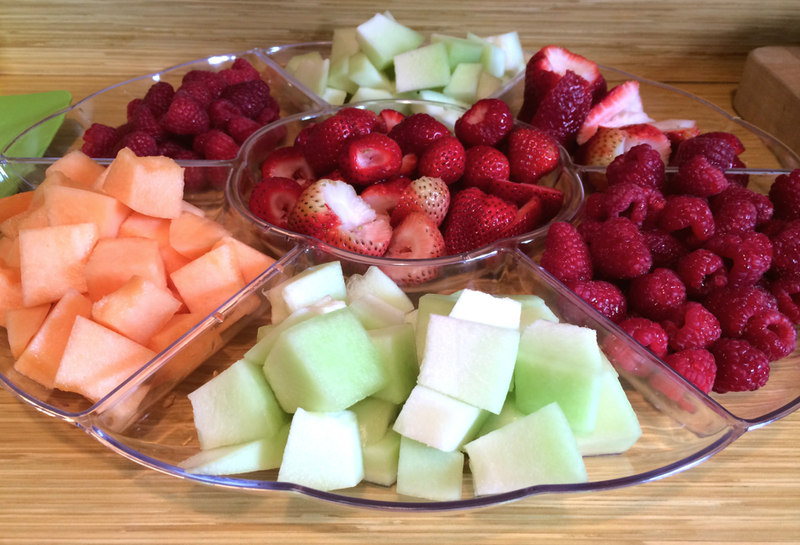 We ordered pizza and set out some fresh fruits and vegetables. It wasn't long until LEGO Man Rob arrived. Given that we had a dozen kids at the party, Rob brought along another team member to help with the build. 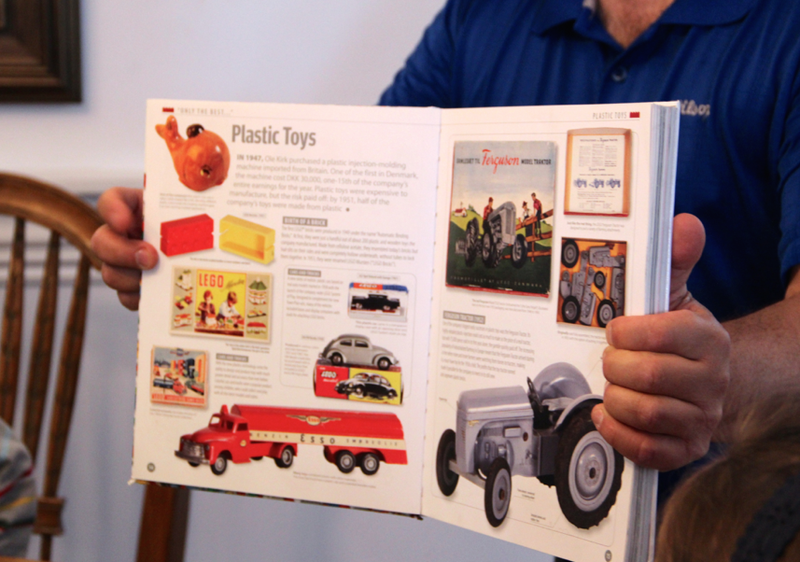 They brought loads of LEGO and a special LEGO book to give the kids a brief history on the well-known bricks. For example, did you know that LEGO means "play well?" Soon, the kids were each given a little basket full of different coloured bricks and tasked with building their first initial. The kids took great pride in their final product. They even got to keep them and place them in the gift bag supplied by Creative Club Inc.
Then the real fun began: assembling a super cool LEGO race car. 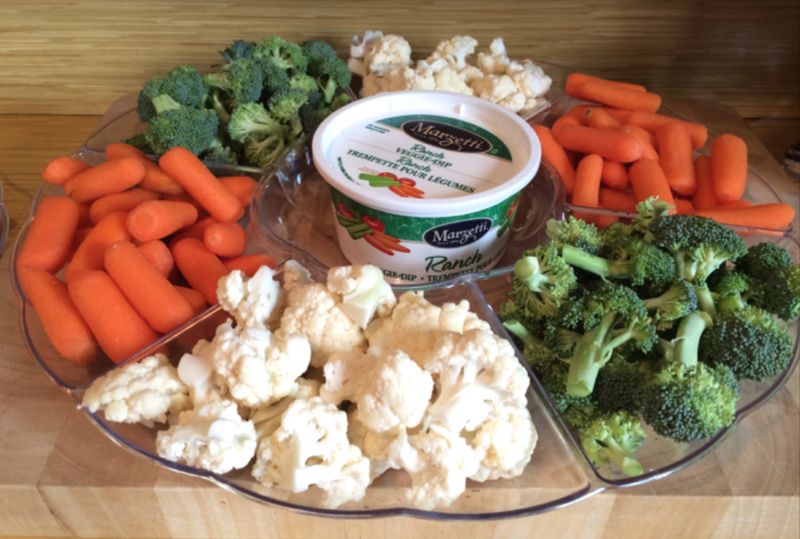 Each child received their own box and were instructed to empty the contents into their respective baskets. Using the manual and with assistance from some of the adults, they worked in small teams to build the car step by step. Some of the older kids finished their car rather quickly and were able to help out the younger ones. Once everyone had completed their car, they removed their name label (also provided by Creative Club Inc.) and stuck it to the bottom of the car before racing them side by side. The kids had such fun, they could have raced all afternoon. 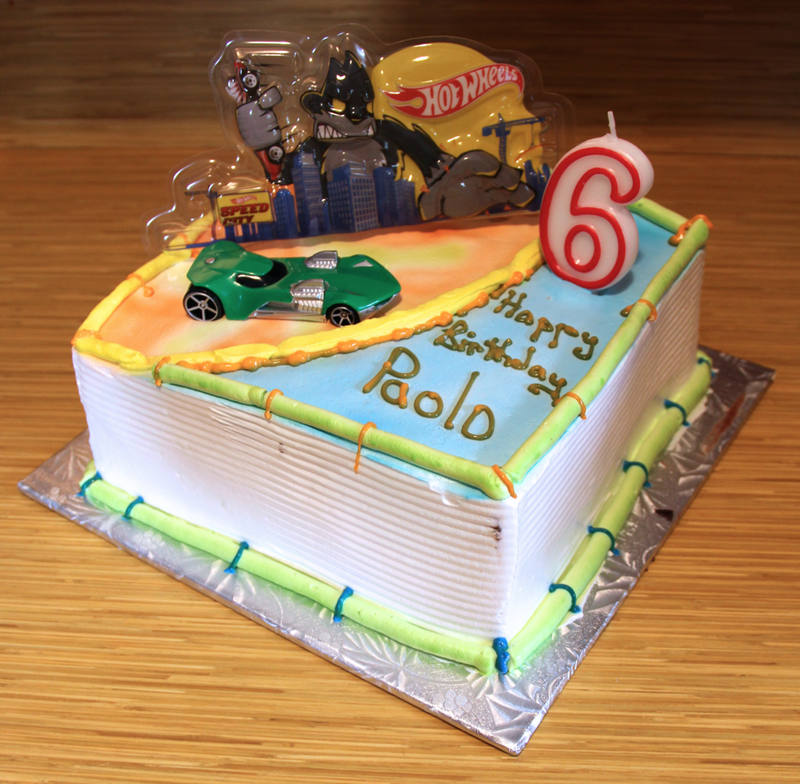 Of course, we had to have cake so put their completed cars into their gift bags and partook in birthday singing as my husband brought out the Hot Wheels tuxedo cake from Longos. When all was said and done, the guests were delighted to share their creations with their parents. 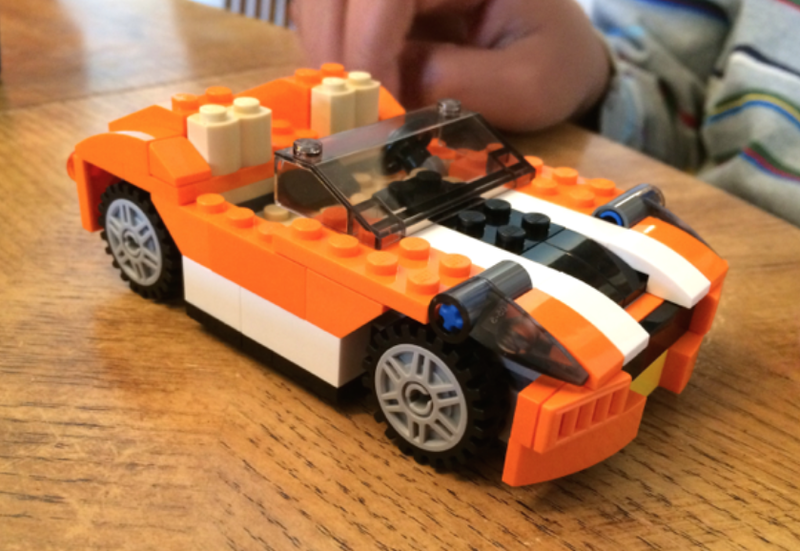 The fact that the race car LEGO set could be rebuilt in three different ways was just the icing on the cake. 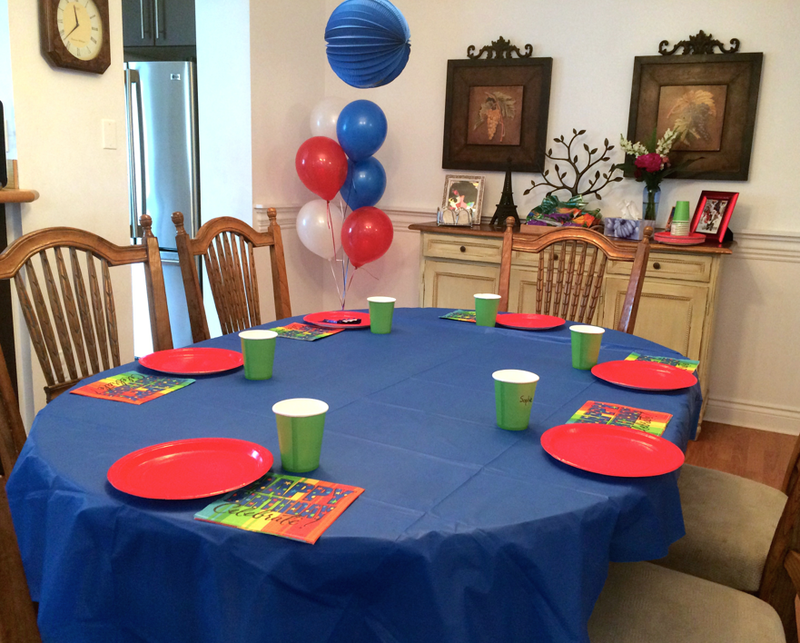 The afternoon flew by without a hitch and my son had a birthday party never to be forgotten. And we have Rob and the Creative Club Inc. team to thank for it! For more information on additional birthday party themes, summer camp or in-school programs, visit the Creative Club Inc. website, follow @CreativeClubInc on Twitter or check out the Creative Club Inc. Facebook fan page. Disclosure: We received a complimentary birthday party experience to help facilitate this review. Any opinions expressed in this post are my own. This is such a great idea! Well worth the cost to have happy kids and a stress free mom! I completely agree! Plus, you can't forget the educational factor. Nicely done! My kid is a Lego fanatic, as well. I may borrow some of these ideas, especially the invitation. Why does this have to be confined to a kid's party? I could see my hubby doing star wars or vehicles. Those little kits are reasonably priced. I would've loved that party as a kid. I was a huge LEGO fan. my goodness, this CreativeClub sounds awesome. What a great idea. My little guys would love this for their upcoming birthday! That's such a neat service. He certainly looks like he had a blast.